Starting today, Amazon Prime members can stream the soccer film Celtic Soul for FREE as part of Prime membership. So this weekend, after you catch the serious action on the field — including Celtic FC’s match vs. Hearts on Saturday — get a few laughs in with this hilarious roadtrip comedy starring comic actor Jay Baruchel (Goon, Knocked Up) and soccer journalist Eoin O’Callaghan (Fox Soccer). And after you watch Celtic Soul, please leave a review on Amazon. It will help the film get in front of more people. This film deserves to be seen. Have you recovered from the World Cup yet? Not us. We're still buzzing. We assume you are, too. So now what do you do? Exactly. Watch soccer films! Happy Victory Day! Today is the 37th anniversary of the release of the classic soccer film Victory. We are celebrating with an exclusive Q+A with Werner Roth, the former New York Cosmos star who played the role of the German captain, Baumann in Victory. What's the first soccer film you saw? Golé! It was the official FIFA film of the 1982 World Cup. It's fantastic and as close as you can get to the event without being there. I floated out of the theater and it stayed with me for weeks. If you had to wear a kit to a film premiere, which kit would you wear? I would look pretty silly, but my old 1977 Cosmos kit. What song would you want to play when you score a goal? Led Zeppelin's "Rock and Roll"
Of all the derbies in the world, which would you most like to see and why? The Manchester derby. I'm a longtime fan of Manchester United, and there is nothing more important in this world than beating City. If you could change one rule in the game, what would you change? It's so perfect, I wouldn't change a thing. Favorite non-soccer film or binge-worthy show? Which soccer player, past or present, would you cast as the next James Bond? The final penalty scene, of course. In your dreams, what player would you love to have been, in what match, and in what play sequence? Diego Maradona in the 1986 World Cup quarterfinal match, when he took the ball in his own half and dribbled through half the England squad, including the keeper, to tap in the winner. Despite a dramatic exit versus Croatia in the quarterfinals, the Russian national team’s run thsi summer at the World Cup was nothing short of a fairytale. A team widely expected to disappoint (as any Moscow cab driver would attest), the Russians easily advanced from their group and then upset the always-vaunted Spanish side in the Round of 16. The results had Russians cheering and singing in the streets. One of those celebrating was former Russian international striker Dmitri Bulykin, who scored 7 goals in 15 caps for his country between 2003-2005. At the club level, he enjoyed a 17-year career with clubs in Russia, Germany, Belgium, and the Netherlands, including Lokomotiv Moscow, Dynamo Moscow, Bayer Leverkusen, Anderlecht, ADO, and Ajax. Today, he is an executive for Lokomotiv, a FIFA ambassador, and a TV analyst. 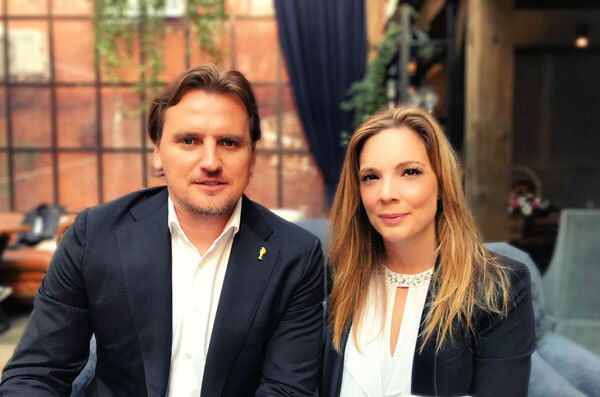 Kicking & Screening’s Gillian Kemmerer recently caught up with Bulykin over dinner at Moscow’s Modus Friends to talk about the Russian squad, the value of teamwork, and, of course, his favorite soccer film. KICKING + SCREENING (K+S): It’s the 115th minute and Mario Fernandes scores that stunning equalizer to keep Russia in the game. What was the first thought that pops into your head? DMITRI BULYKIN: The first thing I thought was that all Russian citizens [would be] so happy. It was truly an important moment to score, to equalize — and to believe in the Russian national team. I think that after this goal, everyone started to believe that we could pass Croatia. It’s a pity that we lost in penalties, but there was incredible emotion in this game. I want to say thank you to the whole team and the coaches because it was an unbelievable story for all Russians. K+S: Every Russian cab driver warned me not to get carried away with the national team. There was so much skepticism, even after the success of the group stages. BULYKIN: Before the World Cup, it was for sure that nobody believed. We had only friendlies, no official qualifiers, so nobody knew how we would start. Two weeks before the World Cup when the list of the players was published, a big discussion started in Russia. A few [expected] names were not there, and it kicked off a lot of skepticism as you said. But if you see the city now, everybody loves the Russian national team. K+S: The global audience was not immune to it either. The doping scandals and political environment have cast a shadow of doubt from some commentators abroad. BULYKIN: You know, I don’t like when politics starts to interfere with sports. I think we’ve seen true sport here, and a fair World Cup. Of course politicians always try to find their way in, but many who have been in Russia have changed their mind about our country. I believe many think of Russia in a new way now, and I hope we’ll find ways for political negotiation. But I think those who have come from the West enjoyed the World Cup, the cities, and the Russian people. The Russian people are very kind…and they like celebrating! K+S: How has the management of the Russian team changed since the days when you played? BULYKIN: I like the coach [Stanislav] Cherchesov because he can change the style of football in every game. He always does the right thing during the game, before the game. If you see how we played against Saudi Arabia, Spain or Croatia — it was completely different ways and formations. I think everyone enjoyed his work. Additionally, the players were so hungry for the wins. They fought a lot on the field and the result was obvious. K+S: Russians are so enamored with your captain, Igor Akinfeev. How much did his leadership make an impact? BULYKIN: We have a lot of leaders in our national team. The captain [Akinfeev] is so experienced and knows everyone. He is a goalkeeper — a very important position on the field. A lot of confidence is received from the goalkeeper. I want to say that we have more leaders in our team too…[Artem] Dzyuba the striker, Cheryshev, Golovin, Zobnin…they played so well. I think they are leaders in the dressing room too. I hope that this team will keep the great energy next year as we move into the Euros. K+S: Your discussion of great leaders makes me think of stars with early exits — Ronaldo, Messi. Are we watching these stars make their final descent to earth, or were their national teams not organized in a way to profit off of them? BULYKIN: We like football because it’s an unpredictable game. If you see Portugal or Argentina, they have the top stars in the world—Ronaldo and Messi—but everything depends on the team. Of course leaders are important, but when you have big pressure from your supporters and country, somebody needs to help [the stars]. You need a team of fighters. Russia fought in every place on the field. Everyone wanted to play well, and to show that they are a strong team. If you see Germany, for example, or Portugal or Spain, they were not so passionate. We call it having a light in your eyes. In the Russian team, I saw that light and the fire in their eyes. It’s difficult to translate. Our supporters gave so much energy as well, and I think it helped us to do great things. K+S: What do you think the legacy of this World Cup will be for Russian club teams? BULYKIN: I hope it will be fantastic. We have nice stadiums, infrastructure, and a lot of cities changing — especially where the World Cup was. I expect that we will see a rise of Russian football. We have to invest not only money, but also our passion. I hope Russian football makes a big step forward and that we will go nearer to the top leagues in Europe. K+S: There’s always a big fear with events like this that the investment in stadiums will go to waste when the party ends. You seem to think Russia will make use of the new sporting infrastructure. BULYKIN: I hope. On the UEFA MIP [executive master for international players] program, we spoke with Brazilian star Maxwell. He said there are already three stadiums that are now impossible to play in [since the 2014 World Cup]. I hope we will have a different situation and that all stadiums will be used properly. Like I said, football should take a big step forward…and the stadiums can now accommodate 40,000. I hope these will be full in a few years, and I will do everything I can to help this. K+S: What is your favorite soccer film right now? What will you turn to watch when we are in the lull between the World Cup and the regular season? BULYKIN: We have a lot of patriotic films lately about football and hockey. There’s a new film called Coach in Russia. Everyone really liked it before the World Cup and it gave us strong emotions in the lead up. And now, the World Cup has given us so many emotions to move forward. As most of you know, we love to partner with and support soccer people around the world who are doing cool, creative stuff to celebrate the game and explore its culture. Keith Foggan, the founder of GOLASO, a soccer-focused creative studio in London, is one of those types of people. Which is why we're supporting GOLASO - UNION, a week-long celebration of football-inspired creativity being held in London to coincide with the final week of the World Cup. Running from July 10-15, GOLASO - UNION presents a series of exhibitions, talks, watch parties, and, yes, soccer films. That's where K+S comes in. On Saturday, July 14, we will co-present with football streetwear brand Guerrilla FC the film Short Plays. We have never shown this collection of soccer short films before at any of our festivals, and we are thrilled to do so now. 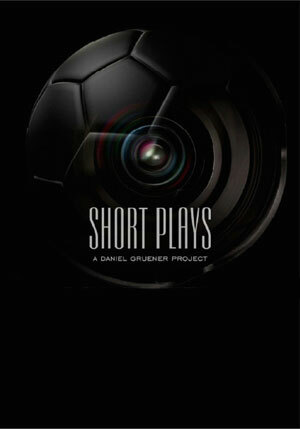 Short Plays is a collection of 21 short films made by 21 directors, exploring soccer in 21 nations. The project was curated and organized by Mexican director Daniel Gruener. Among the films are works directed by Vincent Gallo (yes, that Vincent Gallo), Gaspar Noe (7 Days in Havana), Fernando Eimbcke (Temporada de Patos), Carlos Reygadas (Light After Darkness), Duane Hopkins (Better Things), and Doris Dörrie (Am I Beautiful?). Short Plays screens at 12 noon on July 14. "It is amazing to have Kicking + Screening Soccer Film Festival involved in GOLASO - UNION," Foggan says. "The goal of our event overall is to celebrate the variety and depth of creativity in and around football culture, and Kicking + Screening have given us the chance to showcase directors from across the world, across numerous genres -- all linked to their passion for the game." 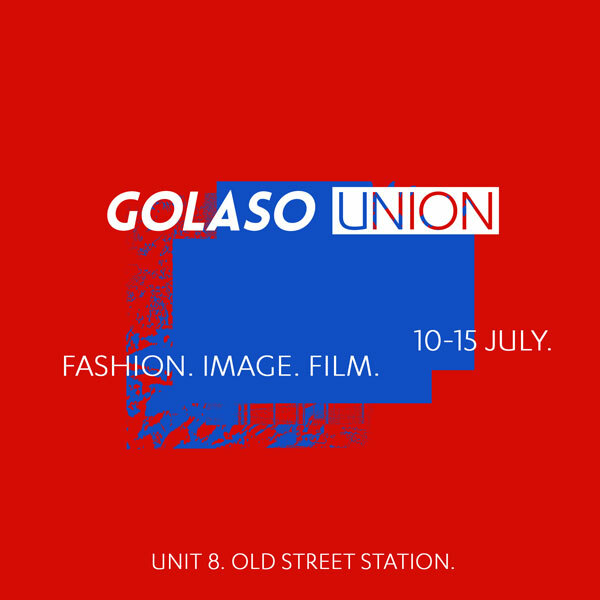 Other events at GOLASO - UNION include a photo exhibition from Football Beyond Borders titled "City of Nations," and panel discussions about football and fashion, one hosted by Internaotional's Naomi Accardi and another hosted by Season Editor-in-Chief Felicia Pennant. All the GOLASO - UNION events take place at the pop-up space Unit 8, Old Street Station, in Shoreditch (MAP).